I am not ashamed to say that I have a notebook obsession! I love them. In addition to being useful, you can find some with some great cover designs! I use them for a variety of things like journaling, writing projects, writing ideas and planning among other things. One of the hardest things about shopping online is the inability to touch and examine products. Hopefully you find this post helpful in getting an idea about what the notebooks from Zazzle are like. 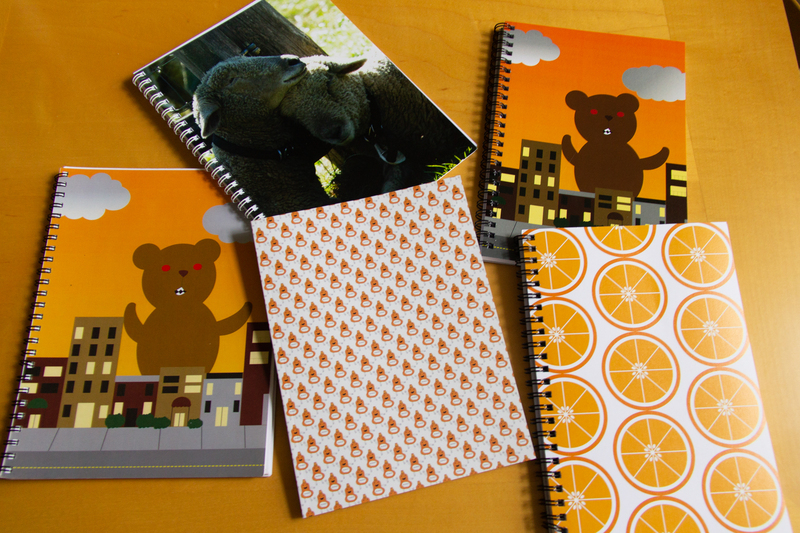 Society6 and Redbubble also have notebooks The notebooks with the orange slices and the Monster Bear notebook above that are from RedBubble. The mustard pattern one is from Society6. 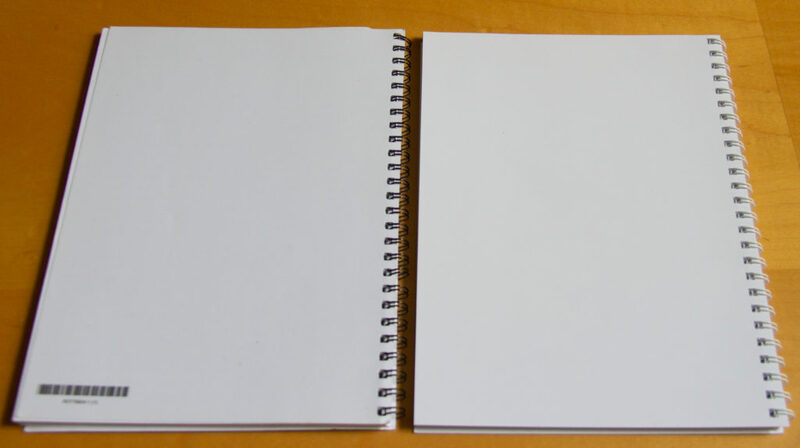 I originally was going to write about all three company’s notebooks in one post, but then realized there was a lot of information to cram into one blog post! So each company will be getting their own notebook post. Stay tuned for information about the notebook from RedBubble and Society6! Here are the backs of the Zazzle notebooks. 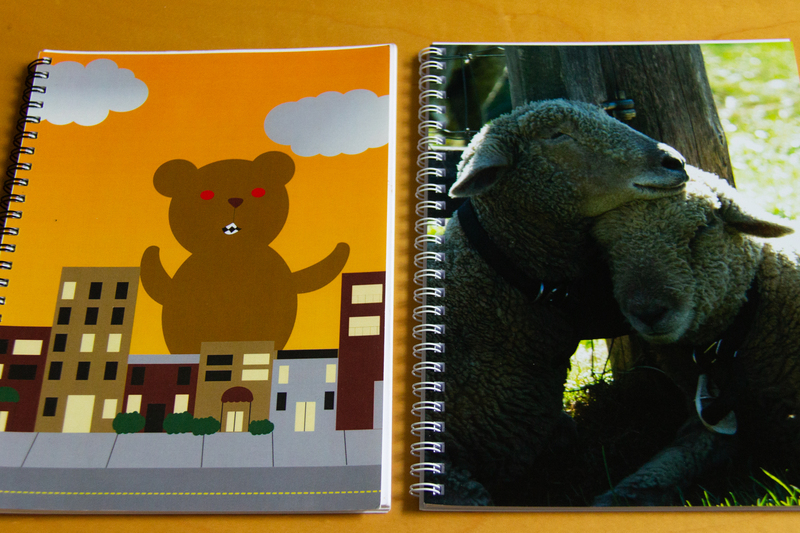 The one with the barcode on the back is Monster Bear Notebook, which I ordered in 2013. The Love Ewe Sheep Notebook I ordered in June of 2018. You can find more notebooks on Valerie’s Gallery at Zazzle here! Also feel free to check out my notebook designs on Redbubble and Society6 as well! Do you have any items you are obsessed with or that you find really useful? 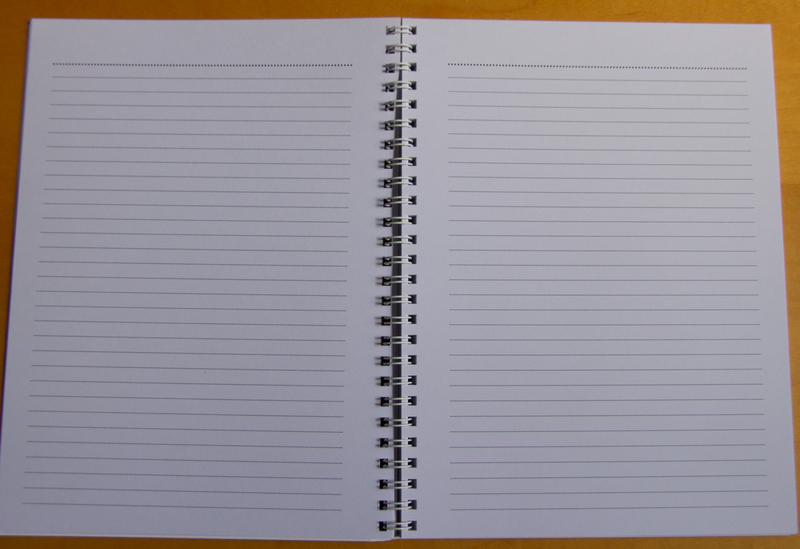 Where is your favorite place to buy notebooks? Have any questions about the notebooks on Zazzle? Let us know in the comments! This entry was posted in Product Reviews and tagged bear notebooks, cute notebooks, fun notebooks, notebook, notebooks, office supplies, school supplies, stationary, Valerie's Gallery, ValeriesGallery, zazzle by Valerie. Bookmark the permalink.